Yesterday the real estate agent came and took photos of our house to email on to a prospective tenant and then advertise on the Web if needed. I am a little surprised to find myself quite a bit sad to be saying goodbye to this house – I’m not really the emotional type for ‘things’ and our house is by no means modern or flash or fancy – in fact I’d pretty much describe it as a ‘do-er upper’, but it has been Our Home. We have been here in this house for nearly five years now, which is the longest time Matt and I have ever stayed put in one place (we have lived in 8 different homes in our 11 years of living together in Brisbane!). 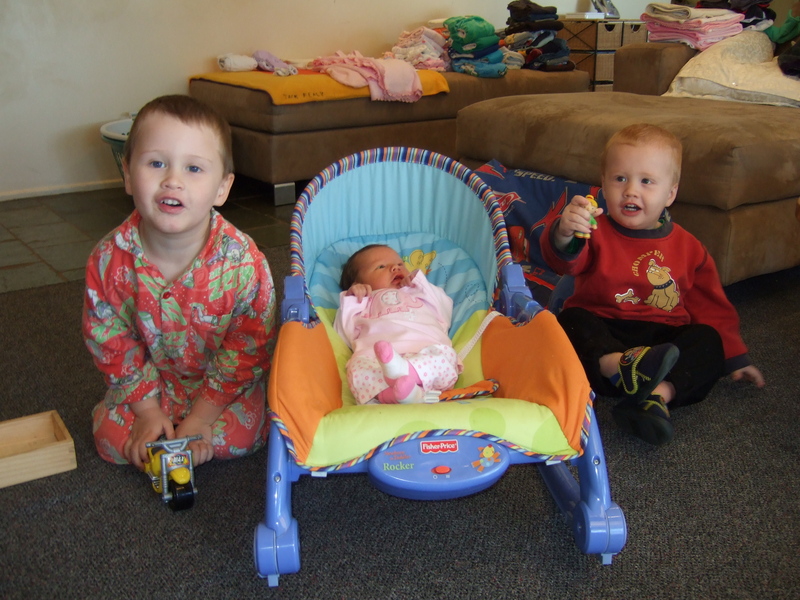 Our kids have all been babies in this house …………. 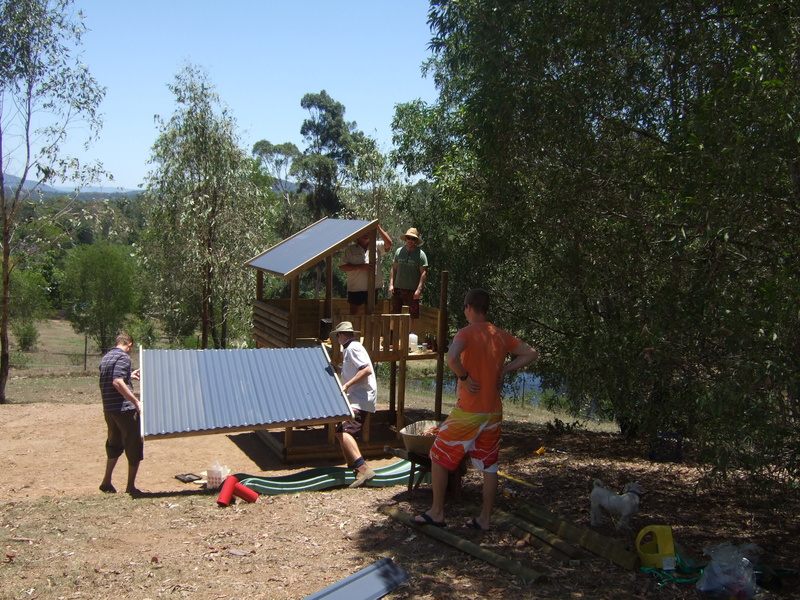 We’ve actually made a few changes to this house to make it our own, with the help of our parent’s manual labour! We are not renovators by any stretch of the imagination, but we have enjoyed doing a few things to the house. 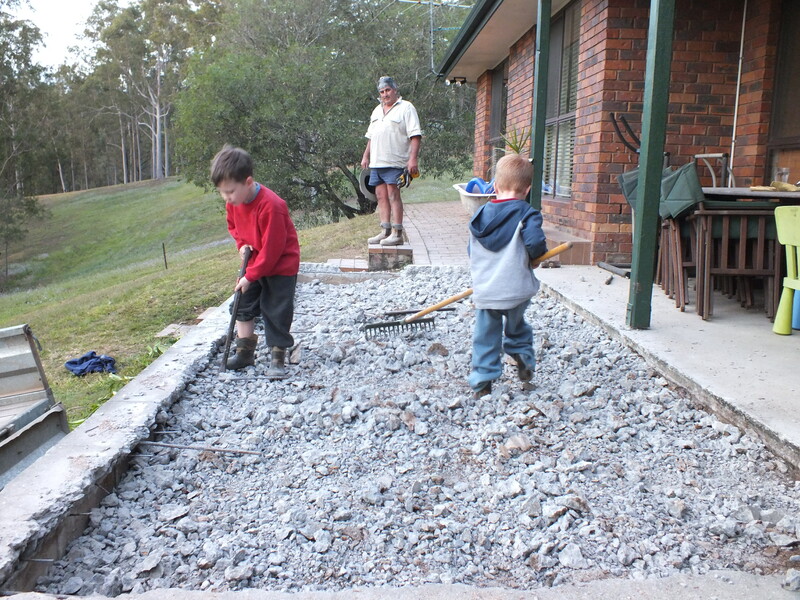 We have added a deck on, put in a laundry, fitted out an office, convinced the council to bitumen the road to our house and got them to sort out the drainage problem that was causing major erosion down the side of our block, put new front doors on, along with a few other little ‘tidy’ up bits and pieces. We have really loved living here. The space has been great for the kids, we have the BEST neighbours (we’ll really miss you Seaborns and Sheils! 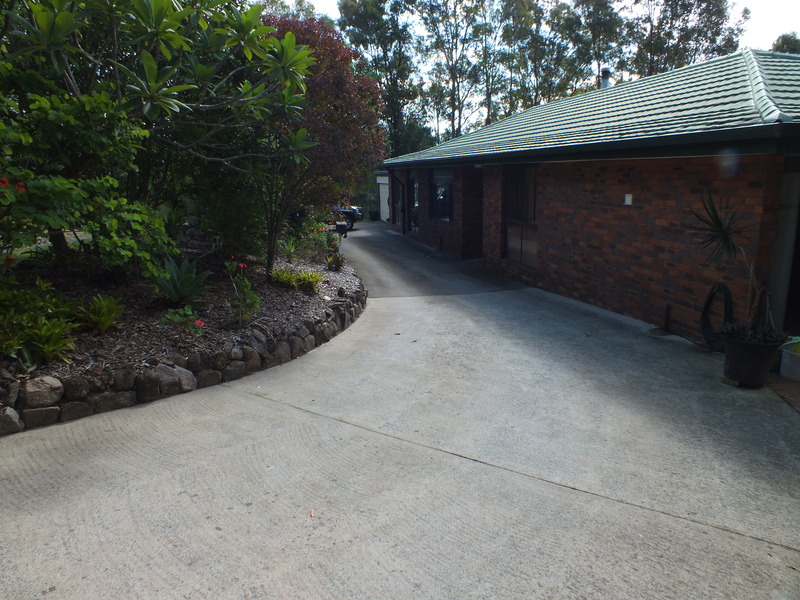 ), we have a great little Village with shops and school only 2minutes away as well as the train station 5 minutes away, and we are only 25minutes from the Brisbane CBD. As far as city living goes – this is as good as it gets – we think. So – thank you to ‘Our House’ for the great memories – we hope a nice family will move in and enjoy it as we have (and if not – the neighbours will be keeping a close eye on them hehehehe). We know that the heart of the house, our little family, is still here and moving on, but it is a bit sad all the same. 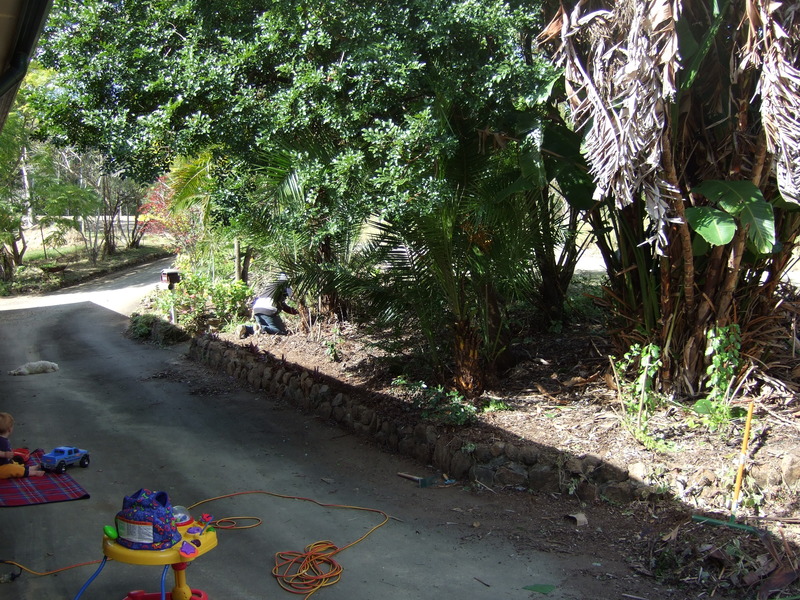 So, a little photo gallery to share some memories of our house ‘before and after’. If anyone is interested in renting our house please contact us! It will be available in May 2013.